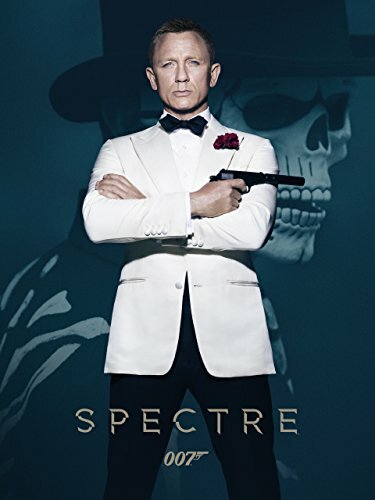 Sounds Like BOND 25 is Getting Strong | Birth.Movies.Death. Is a veteran spy actor lining up for the veteran spy franchise? Following the excitement of the official announcement that Danny Boyle would be directing the next Bond movie, we’ve entered the dusty wastelands of the Bond news cycle, where even the smallest scrap of news can set off a wildfire of speculation (such as the flap last month about Daniel Craig turning up in a suit to a set in Spain, which very quickly turned out to be a Heineken ad). There’s an army out there trying to uncover the details before we’re supposed to know them. ...such as the following Instagram post from London-based personal trainer Giacomo Farci. 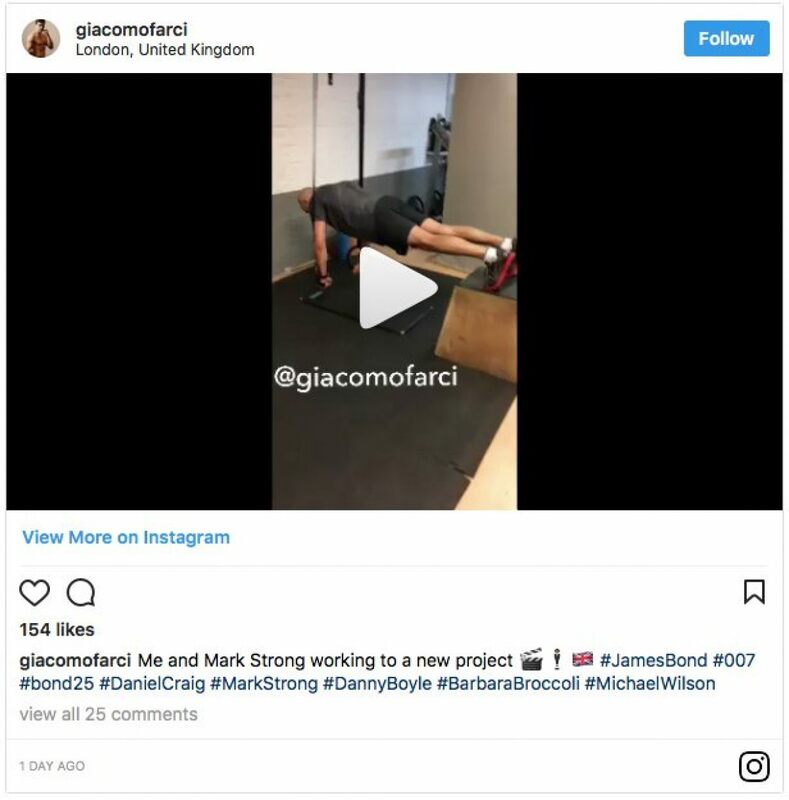 The same video appears on Farci’s Twitter feed, too (at least for now), and there’s no reason to doubt his credentials: his IMDb page describes a relationship with Mark Strong going back until at least 2011, and, interestingly, a previous Bond involvement as personal trainer to Berenice Marlohe on Skyfall (unsolicited advice for Mr. Farci: leaking casting news might not be the best way to nurture that relationship). Mark Strong, meanwhile, is a great choice for Bond 25, particularly in any kind of action capacity. He’s a rock-solid performer with range, easy-going charm and a great comic sensibility, not to mention a known quantity for Boyle, who directed him in Sunshine. Furthermore, Strong’s career has been full of spy roles, most recently on TV as a retired MI6 officer recruited back to the field in Deep State (which I now need to watch immediately) and he’ll be seen as the target of a US secret agent in The Catcher Was A Spy. Then there’s his role as Merlin in the two Kingsman movies, and his deeply moving portrayal of Jim Prideaux in Tomas Alfredson’s Tinker Tailor Soldier Spy, along with the real-life wartime head of MI6, Stewart Menzies, in The Imitation Game (closing the loop on another Bond connection and perhaps fuelling a rumour that Benedict Cumberbatch will be joining the Bond 25 cast) and a senior CIA supervisor in Zero Dark Thirty. As for the role Strong might be playing, well, we’re currently in the dark, even if Internet wags are already running with Blofeld jokes because bald. Any student of the series, however, knows that Blofeld’s not the hands-on type: why get into a fist-fight that requires a rigorous training regime when you’ve got a bunch of jumpsuited henchmen hanging around, ready to have their asses handed to them? A sidekick role seems more likely, perhaps even to Bond himself, but I’m sure we’ll get more wild speculation about that in the months to come. What we definitely have (presuming we’re not being pranked) is dependable casting and a distinctly British flavour which may just signpost the direction Bond 25 is taking, one of which I very much approve. What do you folks make of all this? Sound off in the comments below. The product of a steady diet of pulp SF, modern history, abstract art and electronic music you can’t dance to, jof lives in a city which was in his blood before he was even thought of, where the past and future are rarely far away, even the imaginary ones.